Meyerson, Fox, Mancinelli & Conte, P.A. 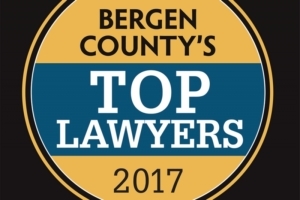 is proud to announce that six of its attorneys have been named 2017 Top Attorneys by Bergen Magazine. The honorees include Lawrence Meyerson for chancery law, elder law, real estate law and will, trusts and estates, Anne Fox for marital and family law, Robert Mancinelli for labor and employment law and zoning, planning and land use, John Conte, Jr. for business law and litigation, Brian Shea for custody law and marital and family law and Andrew Bolson for real estate law. RMFMC&B congratulates all of this year’s honorees.